Dr. Nancy Mayo is the James McGill Professor in the Department of Medicine and the School of Physical and Occupational Therapy at McGill University (Division of Geriatrics and Division of Clinical Epidemiology). In addition, Nancy is a Research Scientist at the McGill University Hospital Center Research Institute where she leads a research program on Function, Disability and Quality of Life for vulnerable populations. She received her BSc in Physical Therapy from Queen’s University and her MSc and PhD in Epidemiology and Biostatistics from McGill University. Nancy has received many awards and honors during her career. 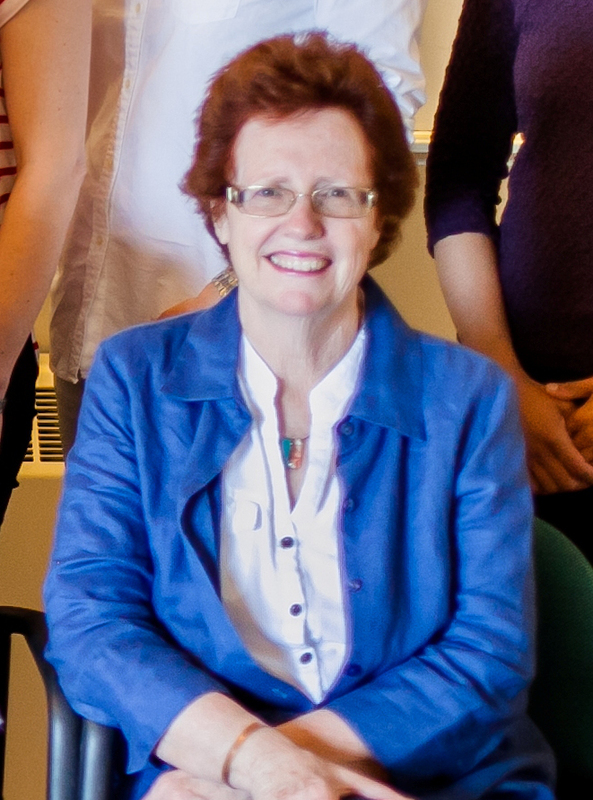 Among these, she was the recipient of the 2006 Paul Morley Award for Mentorship from the Canadian Stroke Network, was appointed to the McGill University Faculty of Medicine Honour List for Educational Excellence in 2009, received the 2012 Enid Graham Memorial Lecture Award, was awarded McGill University’s 2014 Principal’s Prize for Excellence in Teaching. Nancy is also a founding member of the Canadian Stroke Network and has served on the Board of Directors for the International Society of Quality of Life. Nancy is here with us today to tell us about her journey through life and science. Outside of her scientific life, Nancy is a competitive golfer. A love of the sport was instilled in her as a child since many of her family members are also avid golfers. Nancy’s research aims to improve the lives of people with health conditions that result in transient or permanent disability. Much of her work has focused on people with stroke, but she has also conducted research on multiple sclerosis, cancer, HIV, and frail elderly. Nancy initially pursued her bachelor’s degree in physical therapy. During that time, she worked as a teaching assistant for one of her professors, and she was fascinated by a book on the research that lead to the development of the polio vaccine. Nancy mentioned this book and her interest in research to her professor and was guided to apply to a graduate program in epidemiology at McGill University to pursue research. There was a time in Nancy’s career when she felt like she had run out of research ideas. For about three months, she was depressed and really stressed out about it. Nancy suspects that this lack of inspiration was caused in part by being relatively isolated as a junior researcher. A major success for Nancy began with her investigating healthcare use in people after they were discharged following a stroke. It soon became apparent that there wasn’t really a strategy for how best to serve this population. Nancy worked hard to raise awareness of this issue, and her data was important for development of the Canadian Stroke Network. She was a founding member of the organization, and it was funded for 14 years. For Nancy, a trip to Uruguay for the International Society for Quality of Life Research stands out as one of the most memorable travel experiences for both academic and non-academic reasons. A discussion with a student at the meeting inspired Nancy to develop a dictionary of quality of life and health outcomes research that is currently in the process of publication. She will also never forget some white-knuckled driving moments caused by the absence of stop signs on the busy streets. Nancy usually has 14-20 graduate students in her lab, and she loves working with the team. One of Nancy’s graduate student gave her a box full of bracelets with the inscription “What Would Nancy Do”. It became a tradition to bestow these bracelets upon students who worked in the lab over the years. She is down to her final few bracelets, but it has been a fun tradition. Try to work out all the details and steps of a project ahead of time before you start. Also, don’t give up, make sure to diversify your research, and keep up with the latest advances in statistics and technology. Trained originally as a Physical Therapist, Dr. Mayo holds a PhD in Epidemiology and Biostatistics. Her research focus has been in measuring the health of populations with or at risk for disability, transient or permanent and in contributing evidence towards ways of improving health outcomes of these vulnerable populations. As a founding member of the Canadian Stroke Network, Dr. Mayo has had a preoccupation with generating evidence about how to improve outcomes for people with stroke and translating this knowledge to inform community based programs for persons with stroke. Dr. Mayo has extended this work to develop measures and interventions for people with Multiple Sclerosis and Parkinson’s Disease. She has published over 200 research papers and presented her work around the world. Dr. Mayo is also a committed educator, teaching core research methods courses, and she has supervised over 90 MSc and PhD students in Rehabilitation Science and Epidemiology.